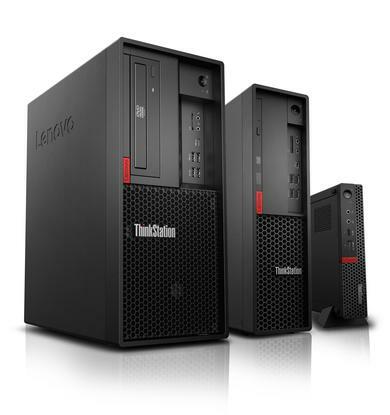 The ThinkStation P330 Tower and Small Form Factor include a streamlined design that has decreased the footprint by up to 30%, while the P330 Tiny continues to be the smallest workstation at just 1L, according to Lenovo. The P330 Tower and Small Form Factor workstations offer Intel Core I and Xeon processors, and NVIDIA Quadro professional graphics with VR ready capability. These workstations also include storage technologies including on-board M.2 and Intel Optane memory. The ThinkStation P330 Tiny is a 1L ISV-certified workstation that contains 8th Gen Intel Core processors and NVIDIA Quadro graphics, and is able to supply six independent displays. Lenovo states that the addition of 8th Gen Intel Xeon E processors along with Intel Core processors allow this family to support up to six cores, clock speeds up to 4.7GHz and a 30% increase in performance, based on SPECrate201 benchmarking. The ThinkStation P330 Series will be available in Australia and New Zealand in September 2018.